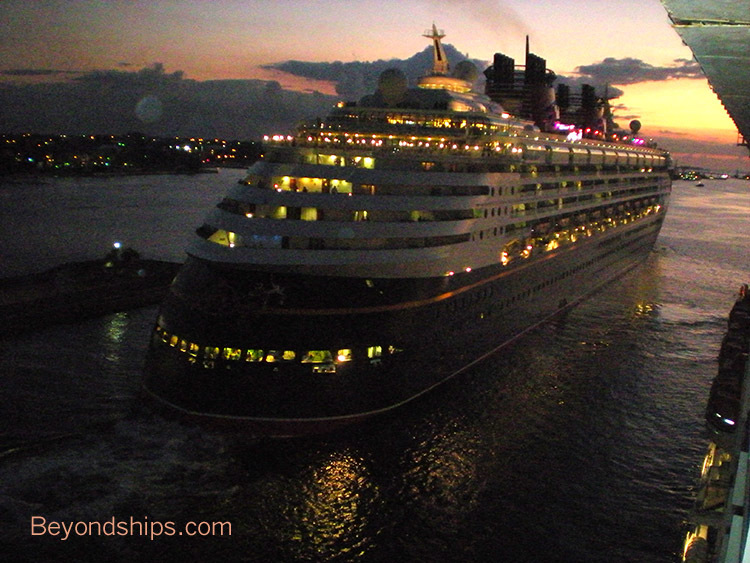 Nassau is a natural cruise destination for the Disney ships. It is very close to Port Canaveral and the Disney World Park. 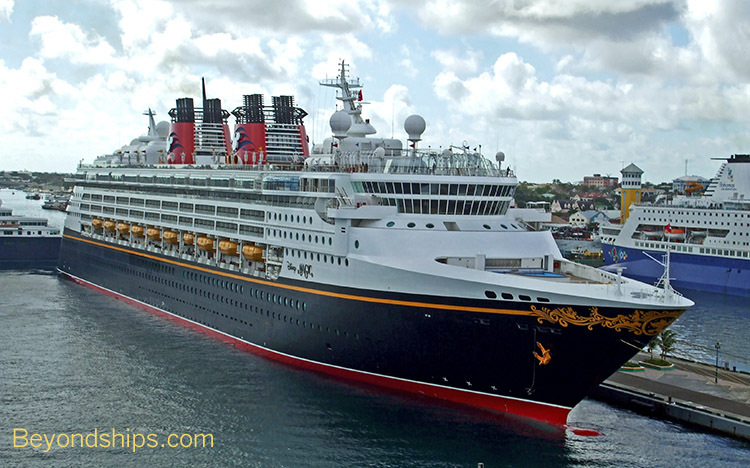 Therefore, short cruise to Nassau can easily be combined with a few days at the Disney Park. Right and below: Disney Magic docked in Prince George Wharf. The ship's bow and stern are decorated in scroll work reminiscent of a turn-of-the-century ocean liner. Above left: Disney Magic also has sleek lines like the old ocean liners. Above right: Disney Magic is not actually a two stack ship. Her forward funnel is a dummy, added to give the ship a more traditional look. In this, she follows in the footsteps of the Normandie, which also had a dummy funnel for aesthetic reasons. Above: After playing the Disney theme on the ship's horn, Disney Magic leaves Nassau.